We wouldn't blame you if this makes you want to head to the salon rn! Remember when the Internet was shookt over this makeup artist's take on the sunset eyeshadow trend? Well, prepare to be shooketh yet again because this style looks amazing on your tresses, too. 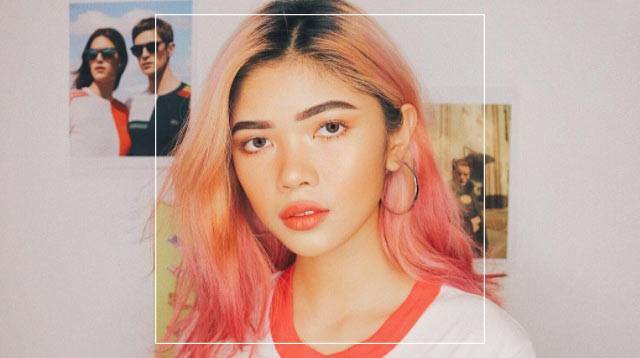 15-year old Pinay beauty influencer and vlogger Alexa Litonjua is serving us some major #hairgoals via IG photos of her horizon-inspired locks. I mean, how can you NOT fall in love with that???? By combining peach and pink, she was able to create a gradient effect on her hair that not only makes her skin tone *pop*, but adds a ~cool girl~ vibe too. It looks tdf when she wears a monochromatic peach makeup look, OMG. LOVE. IT.